I’m Pregnant and Want to Work My Abs. What to Do? You are here: Home / Pregnancy / I’m Pregnant and Want to Work My Abs. What to Do? A lot of women are determined to stay in shape when they’re with child. It’s definitely the right attitude and can certainly benefit unborn kids. But there’s one set of exercises that you can worry less about: abdominals. Core work is fine until you can start seeing your belly pop out, which can happen anywhere from the 8th to the 20th week of pregnancy. 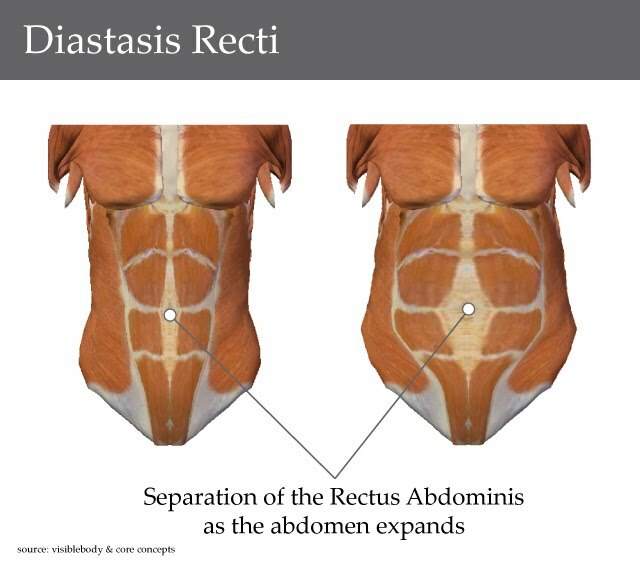 A protruding stomach when working your abdominals increases the risk of injury, including hernia. What’s more of a risk if a woman persists with these sort of exercises so late in the pregnancy is that the wrong position can result in oxygen and blood flow issues to the baby. It’s advisable NOT to do abdominal work while lying on your back, as the weight of the growing uterus could create those flow issues. Karen Clippinger, M.S.P.E., a kinesiologist at Loma Linda University Medical Center in Southern California, tells “Fit Pregnancy” that strengthening the abs can decrease the pressure that pregnancy puts on a woman’s spine and counter their tendency to develop a more pronounced lower back curve.